A wonderfully interesting variation of traditional multi-signature binding where the spine of the bookblock is left exposed and the sewing is both decorative and functional. Somewhat similar to coptic binding (but simpler). The signatures are sewn onto linen or cotton tapes, ribbons, or leather strips, with coloured embroidery thread using a variety of linked stitches…hence the name and then laced thrugh slots in the covers. 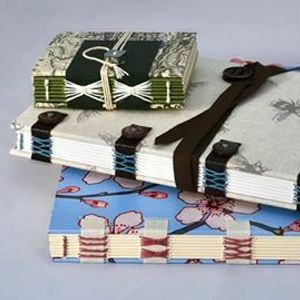 This method of ‘no glue’ binding can be used to create a huge variety different looks from steampunk to contemporary and deconstructed. It perfectly complements mixed media, found paper ephemera and textiles into the design if you so wish. 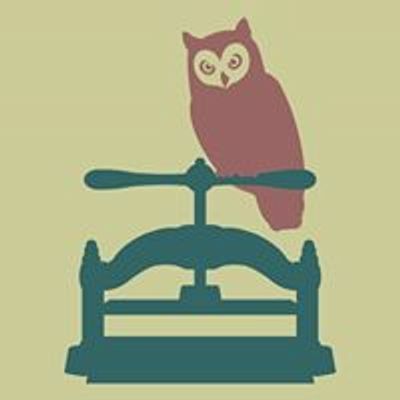 In this workshop you will make a multi-signature hard-backed book up to approximately A5 in size with an exposed link stitch spine in a style of your choosing, using a choice of materials. Feel free to bring along your own goodies too: papers, textiles, threads, buttons and embellishments. £55 per person including all tools & materials – and tea & biscuits ?